BRYAN EATON/Staff Photo. 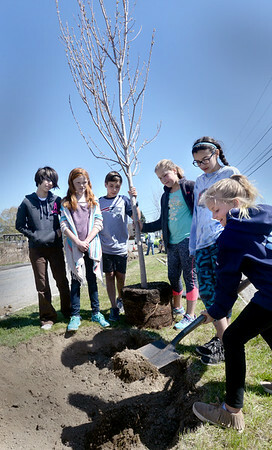 Students from the River Valley Charter School in Newburyport planted four red maple trees on the median on Perry Way in front of the school as an act of beautifying the city. They were aided by the Newburyport Department of Public Services and the Newburyport Tree Commission.